Overall visitor numbers to Scottish attractions dropped last year, with the hot summer blamed. 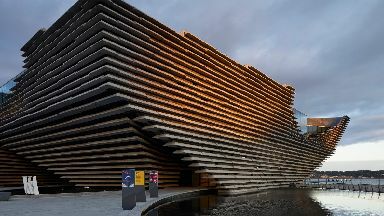 The opening of the V&A Dundee has helped boost visitor numbers at nearby attractions by up to 40%, according to new research. In its first three months 341,265 people visited the £80m museum, which opened in September, with many taking the opportunity to explore other places in the city. Visitor numbers in 2018 at nearby Discovery Point were up 40.5% on the previous year and there was a 31.2% rise in people visiting The McManus: Dundee's Art Gallery & Museum. The figures are laid out in the 2018 Visitor Attraction Monitor, created by experts from Glasgow Caledonian University's Moffat Centre for Travel and Tourism. They analysed the performance of 680 paid and free tourist sites around Scotland. Experts said this was largely due to indoor attractions being affected by record-breaking temperatures over the summer months. Professor John Lennon, director of the Moffat Centre, said: "There is no doubt visitors are seeing more of the country and the benefits of tourism are being spread across Scotland. "There's been a lot of interest in the V&A but that interest has spread out and has had an impact on nearby attractions, like Discovery Point, the McManus Art Gallery, and the Botanic Gardens. "It has brought tourists to a part of the country that was not really on the visitor map. "Stirling Castle is up - which takes a bit of pressure off Edinburgh. Visitors are getting out to Urquhart, which is a good thing, and we are seeing a growth in Loch Ness cruises." Indoor attractions in Glasgow suffered due to the hot summer with visitor numbers to Kelvingrove Art Gallery and Museum dropping 19.1% on the previous year to 1,054,562 in 2018, while the Riverside Museum was down 7.4% to 1,254,498. The National Museum of Scotland was the top free attraction in 2018, with 2,227,773 people passing through the doors, followed by the Scottish National Gallery and St Giles' Cathedral, also in the capital. 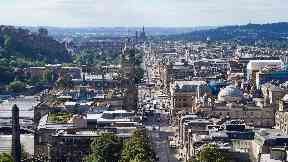 Glasgow's Riverside Museum, Loch Lomond Shores, Kelvingrove Art Gallery and Museum, Royal Botanic Garden Edinburgh, the National War Museum, the Regimental Museum of the Royal Scots Dragoon Guards and the Gretna Green Famous Blacksmiths Shop are also in the top ten. Professor Lennon said: "As long as the government maintains the message that we are open for business and open to visitors, and deals with any misinformation about getting into or out of the UK, then we won't spook what is a good growth trajectory." He added: "As long as we get the message out there that Scotland is open for business, it's quite a positive scenario for tourism."